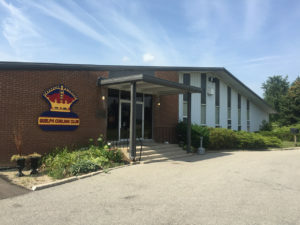 The Guelph Curling Club features 8 curling sheets and large lounge facilities that make it easy to host large and small scale events for participants as young as 7 years of age. Our facilities are open year round for lounge rentals and open from October to mid-April for curling. Established in 1838, we are Ontario’s second oldest curling club. Pop in for a visit to see how tradition and innovation combine to make GCC the best club to learn to curl, improve your curling skills, or catch a game or two in our comfy lounge area. Guelph Curling Club is member-owned. We are governed by an elected board of directors. Our full-time, on-site manager, ice technician and chef keep the curling club purring along smoothly throughout the winter curling season. Our kitchen and licensed bar with daily food features, craft brews and local wines make your stay both enjoyable and comfortable – ask us about renting our space and our catering services for your next meeting or event! We are committed to educating the Guelph community about our sport. This means we offer monthly Learn to Curl sessions that review safety and basic curling skill development to get you off to a great start before diving into a league. All you need is $20, a clean pair of indoor shoes to wear on the rink and we’ll take care of the rest. We can’t wait to see you out on the ice! Once you have fallen in love with our great sport, or for current curlers moving to Guelph, check out our league options (including our unique Mixed Doubles league!) and how to register. We always welcome new members – but be sure to sign up soon.